When we think of wildlife in gardens, it’s the summer months that come to mind when our outside areas are teeming with life. For animals this is a time where food is abundant and their livelihood is less dependent on us humans. As we ease on the jumpers and crank up the heating, we don’t necessarily consider the comfort of the little creatures around us. For many, the provisions they come across during this time make the difference between life and death. It may interest you to know there are some simple steps you can take to ensure our little friends make it through the colder months of the year. It’s a myth that most or all birds migrate south when the weather turns colder. In fact about 50% of birds in the UK leave for warmer climes. These birds tend to be the insect-eaters who can’t find enough food. 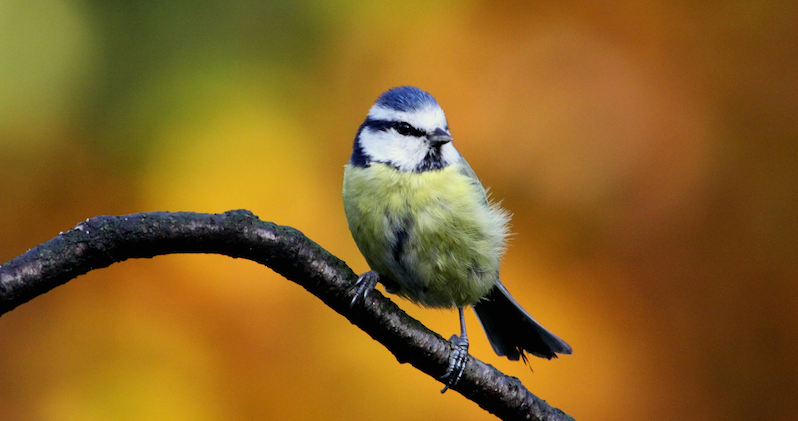 Autumn is a great time to take steps to help all birds that visit your garden. By simply not using chemicals on your lawn, you can encourage insects back into the grass and provide an all year round feeding station on your lawn. Another obvious choice is to place a bird feeder in your garden. Install it close to natural shelter such as trees or shrubs and keep it well stocked throughout autumn and winter. In no time our feathered friends will be swooping down to enjoy what your garden has to offer. Hedgehogs are one of our best-loved garden visitors, though sadly they’re on the endangered species list. Don’t worry though, as there are lots of things that can be done to help them out. Try allowing an area of your garden to grow wild with overgrown grass and plants, as our prickly friends love places like this to burrow down and keep warm. You can also make a feeding station nearby. Put a paving slab on top of some bricks and bury some food underneath so that bigger animals such as foxes can’t get to it. Try something like cat biscuits or dog food – you can even buy special hedgehog food from nature and wildlife shops. You could go a step further and make a shelter using an old plastic storage container with a hole in the side. Keep food and water within reach so they can make a pit stop. Shelter and food is vital for hedgehogs during autumn so they can bulk out, ready for their winter hibernation. A word of warning though. Autumn is a month when many gardeners prune their trees and gather leaves ready for a bonfire night celebration, but you should always check your bonfire first in case a hedgehog has bedded down underneath. During the autumn months, fallen leaves are inevitable. The temptation is to rake them up and dispose of what is essentially rotting plant matter. Leaves however have a wealth of benefits for small animals. For one they provide a place to shelter for insects such as millipedes and earthworms, which will in turn provide food for frogs and other small animals. Our friendly hedgehogs may even choose to burrow down in them for warmth. Instead of clearing them away, create piles of them throughout your garden. Take care if you have a pond, as leaves tend to be a nuisance to water-dwelling creatures. When the leaves have decayed, they make a nice rich soil that can be used in your planters when the spring comes. Autumn is a great time to focus on the wildlife in your garden. Through taking simple steps this season, wildlife will have a much greater chance of surviving the winter months. It’s very rewarding to see animals making good use of the provisions you’ve left for them. For the keen photographer, there could certainly be some good photo ops! By making some small changes today, your garden could be teaming with life in the coming weeks. For more information on how to enjoy your garden, get in touch with Minster Paving by calling 01865 300252 or contact us online.